Enjoy Lutheran Northwest’s amazing end-of-the-year art & music festival! Join us in downtown Utica as we celebrate 75 years of the Lutheran High School Association with Lutheran Night at Jimmy John’s Field! 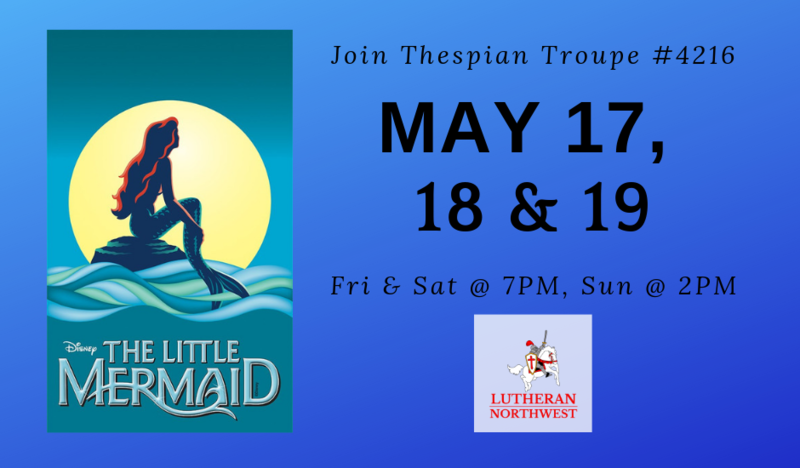 Thespian Troupe #4216 of Lutheran Northwest invites you to this very special production! Come on out and support Lutheran Northwest with an evening of fun, food and fellowship at Parent Network’s Annual Trivia Night! Everyone is responsible for their own food and drink. To reserve your spot, please call the school office at 248-852-6677 or email Mrs. Riske at triske@lhsa.com. You can pay early at the office or when you arrive, but make sure you reserve your spot in advance! ...for fellowship, dinner, cash bar, door prizes, silent auction, live auction, & euchre fun! Are you a Northwest Alum? Please join us for the alumni reception from 5:00 PM-6:00 PM! The Lutheran High School Association (LHSA) was incorporated in Southeast Michigan more than 75 years ago (1944). Since then, LHSA schools have provided a Christian education for more than 15,000 students! ﻿Join us in celebrating 75 years of Christian high school education with choral and instrumental music, performed by the choirs and bands of Lutheran North, Northwest, and Westland. Before the concert, join us for a complimentary wine & cheese reception. For adults and guests under 21, there will also be soft drinks available. The Drama Department of Lutheran Northwest presents an evening of one-act plays! Are you considering a Lutheran Northwest education for your child? JOIN US FOR CRUSADER OPEN HOUSE! Meet many of our dedicated, talented school leaders and discover why Lutheran Northwest is the outstanding high school option in Rochester Hills! a FREE GIFT & a two-week extension of the $150 registration fee (2/28). Parents and students of all grades are welcome. Get an in-depth look at our acclaimed academics! Are you considering Lutheran Northwest for your child for next year? Ring in the season with the Lutheran Northwest Bands! Join the Choirs of Lutheran Northwest as they proclaim the Good News of Advent and Christmas through song! Classic Lanes is at 2145 Avon Industrial Drive (M59 & Crooks Road) in Rochester Hills. See you there! Louisa May Alcott’s story of family love and devotion, Little Women, opens the 2018-2019 season of Crusader Drama! Don’t miss this opportunity to experience life as a member of our Crusader family for a day! We’re hosting an amazing, FREE event (called Fusion) that you don’t want to miss! 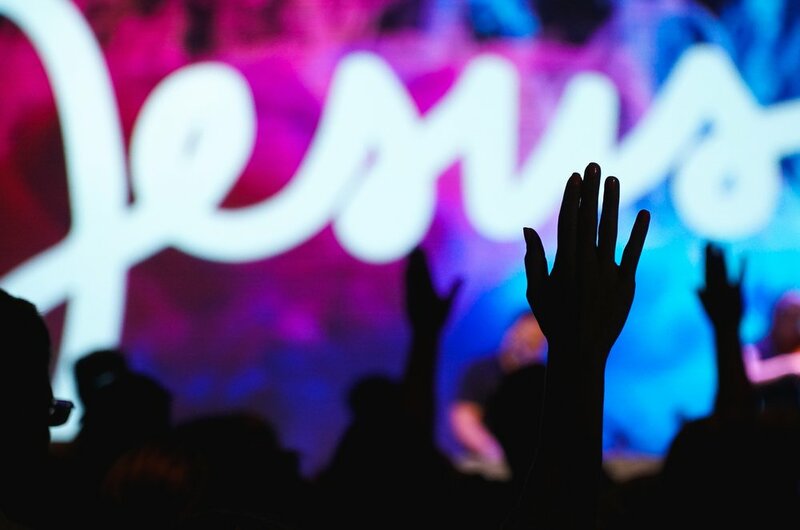 FUSION uses music and fun activities to bring together teens from all over southeast Michigan (you do NOT need to be a Lutheran Northwest student to attend this event). The event will feature live music from The School of Rock and the concert choir from Lutheran Northwest. Pastor Ryan Peterson will be our guest speaker. FREE FOOD will be provided by 2941 Mediterranean Street Food, Buffalo Wild Wings, and more! LEARN WHY LUTHERAN NORTHWEST IS AN OUTSTANDING CHOICE FOR HIGH SCHOOL! This year, we’re featuring events for past, present, and future Crusaders! Friends and alums of Lutheran Northwest can catch up at The Alumni & Friends Tailgate. Elementary-age children and younger get in FREE for the evening, and children (K-8) who participate in the punt, pass, & kick competition get a FREE t-shirt! Also, stop by the Future Crusader Tent for freebies! Whether you're an alum or family of an alum, come back and visit Lutheran Northwest to celebrate homecoming with the Crusaders! We'll be grilling some delicious food and playing some fun tailgating games while connecting with alums and friends of Lutheran Northwest! Prior to the game, Choir Alums, please make your way to the track to help sing the national anthem! At the end of the 1st quarter, we’ll announce and award the winners of the punt, pass, & kick competition! At halftime, the homecoming court will be presented and the king and queen will be announced! Join us in the Lutheran Northwest gym for a reception! Whether you're an alum or family of an alum, come back to Lutheran Northwest and celebrate homecoming with the Crusaders! Hit the links and support Lutheran Northwest! Golfing and sponsorship information coming soon! BACK TO SCHOOL MIXER DANCE!